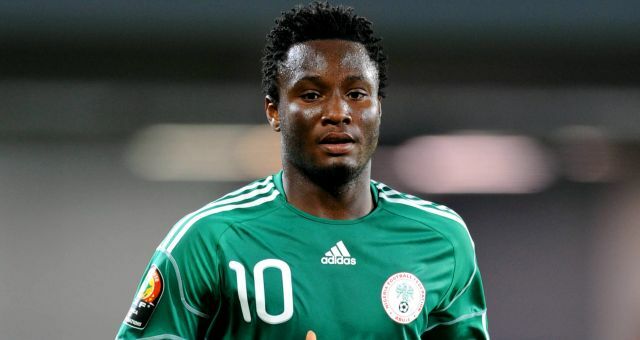 Mikel Obi will be the flag bearer for Nigeria at the opening ceremony of the 2016 Olympic Games, having been chosen as the captain of the nation's contingent. He will also captain the football team. "To be my first Olympics and getting this huge honour made the tournament 10 times as exciting for me," Mikel told the UK paper, Evening Standard. But Mike said achieving all these is at a risk to his Chelsea place as he starts his 11th season with the Blues at Stamford Bridge. The 29-year-old faces stiff competition for spots in manager, Antonio Conte's midfield with new purchase N'Golo Kante pushing the Nigerian, Nemanja Matic and Cesc Fabregas. "To carry the flag of your country at an Olympics is absolutely amazing. You're leading a whole nation going into the biggest sporting event there is," he continued. "To represent the flag of Nigeria, not just the football team, is incredible." Mikel was jettisoned by Jose Mourinho before his sack last December but came to the fore during the interim regime of Guus Hiddink and he feels he is putting his Chelsea place at stake by leading Nigeria at Rio 2016. "It is difficult to leave Chelsea at this time but I explained to the club why I wanted to go and I thank them for their understanding and allowing me to be a part of this. He then added that it was a calculated risk. "Obviously, it is hard to be away because I want to impress the new coach. "I had one week of pre-season training and you need more than that if you want to prove yourself to a new manager who wants to change everything around. "It is a risk that I have taken but I am willing to stand by that. I hope after the Olympics I can go back and prove myself." If he leads the Nigeria U-23 team to gold, then the risk would have been worth it.